Doing what’s required doesn’t necessarily mean you’ve done the right thing. Meyer’s apologists will say policing the personal lives of his assistants is not his job, that he can’t control what someone does when he’s away from the Woody Hayes Athletic Center. You can’t have it both ways. If Meyer is going to tout his program as a model of accountability and responsibility, then he’d better make sure everyone is practicing what he’s preaching. Passing judgment on what Meyer did isn’t simply an existential exercise. If Ohio State fires him without cause on or before Jan. 31, it would owe Meyer nearly $38.1 million. 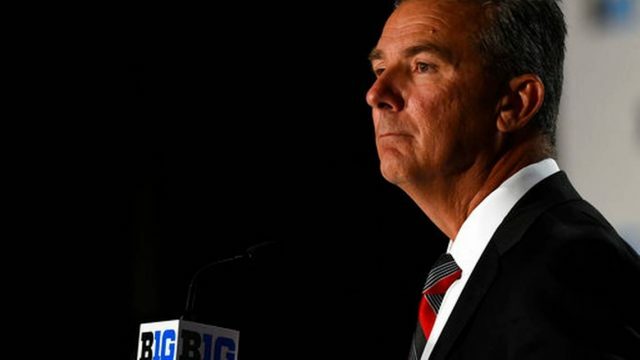 A USA TODAY Sports review of Meyer’s contract found there would be other grounds to fire him for cause even if he did what was required in terms of reporting – if Ohio State has the stomach for it. One provision allows him to be fired for “fraud or dishonesty … in the course of his duties or responsibilities.” When Meyer was asked at Big Ten media day about his knowledge of the 2015 allegations, he lied repeatedly. It’s quite possible that Ohio State’s investigation, which the school said Sunday will be completed in two weeks, will find Meyer followed the proper procedures in 2015, and president Michael V. Drake and the board will decide that’s enough to justify him keeping his job. Probable even, given Meyer’s success at Ohio State and his popularity with Buckeye fans. But as this whole mess has made abundantly clear, just because something falls within the rules doesn’t make it right.